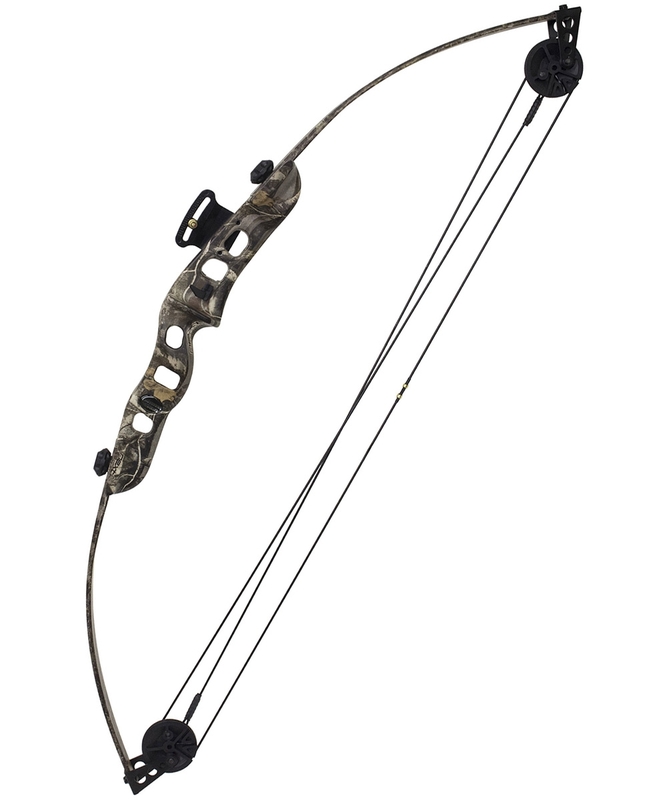 REAL DEAL: The Martin Bobcat Compound Deluxe Bow Kit is a junior compound bow set perfectly designed to introduce youngsters to archery and comes loaded with all the accessories your young shooter requires. The Bobcat features a three position cam system adjustable to 22", 24", and 26" allowing for plenty of growth, and the soft wheel-type cam system allows for a soft anchor point between settings. Best of all this isn't some "Plastic Fantastic" toy. 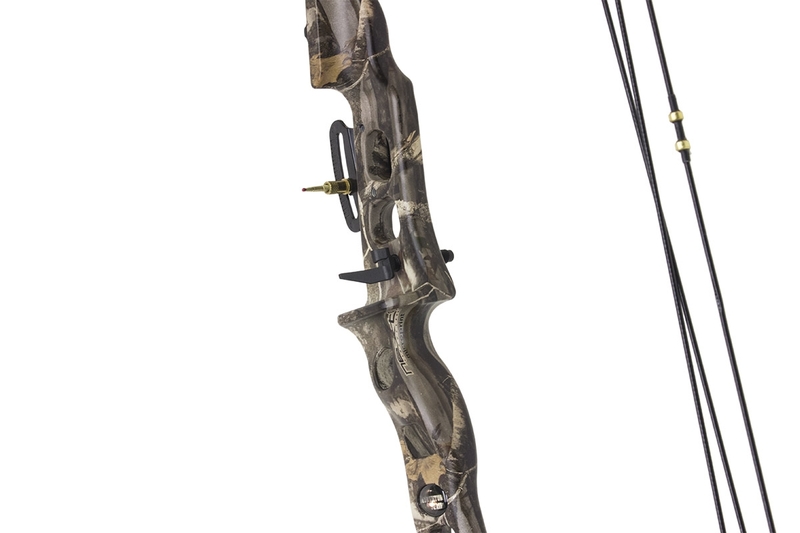 The Bobcat features a real cast aluminum riser and fiberglass limbs, just like the big bows. 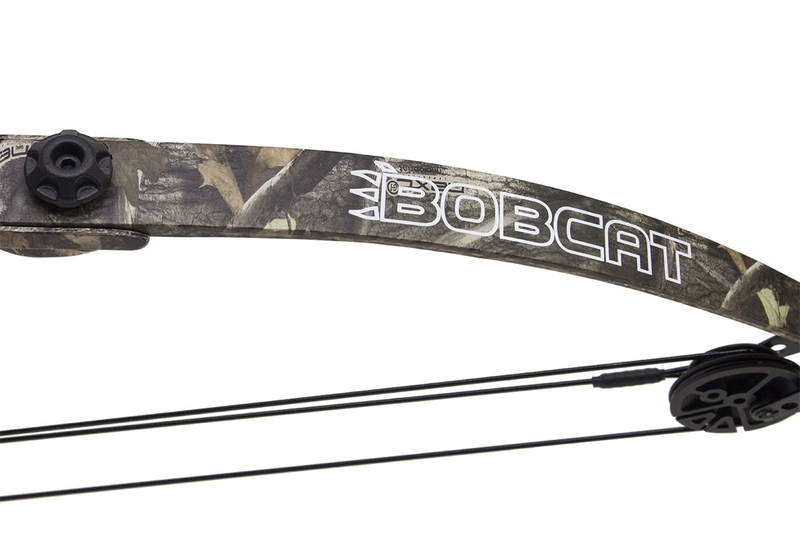 EASY TO SHOOT: The Bobcat is ideal as a starter compound bow and will not break the bank, both durable and reliable. By designing equipment to specifically fit the needs of youth and intermediate shooters, Martin Archery makes certain that young shooters have the best chance to develop their skills in the archery traditions. The Bobcat bow package comes with everything your young archer needs. Draw Weight: 15 pound - 25 pound. Axle-to-Axle: 30.5 inch. 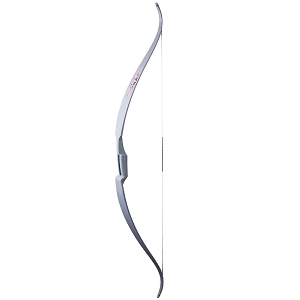 Deluxe Kit Includes: Deluxe Armguard, Quiver Flipper Rest, 2 Fiberglass Arrows and Adjustable Sight Pin. Camouflage.